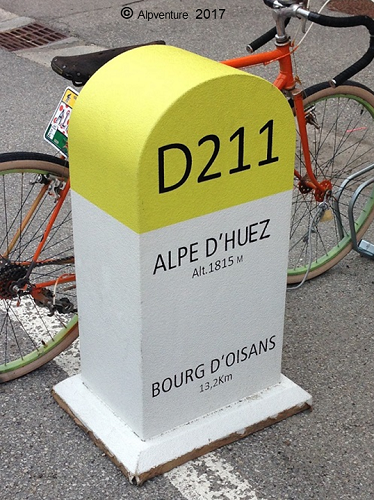 Cycling Alpe d’Huez 21 bends in the French Alps is probably in the top five of the world’s most famous cycling ascents. 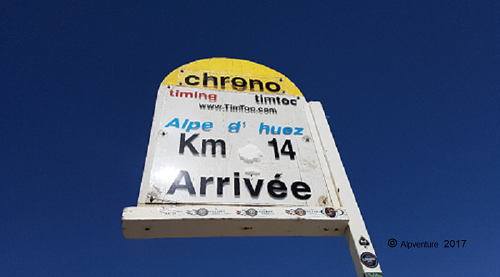 The world famous climb has featured in many exciting stage finishes of the Tour de France over the years with the last being in 2018. The ascent also plays a big part in amateur competitions such as the annual Marmotte Granfondo which also finishes at the top. The road is in good condition and is kept open all year. It has kilometre markers detailing the gradient ahead and the remaining kilometres to the summit which can be a help or hindrance. Starting from Bourg d’Oisans main street head out straight across the roundabout (crossing the D1091) towards the D211 signed for Alpe d’Huez. 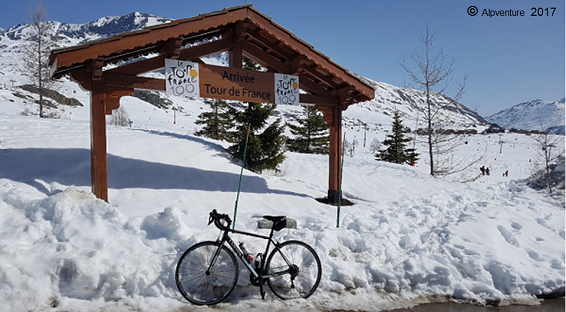 It may be advisable to cycle a few kilometres to warm up your legs before heading straight in to the climb if you are starting from Bourg d’Oisans. 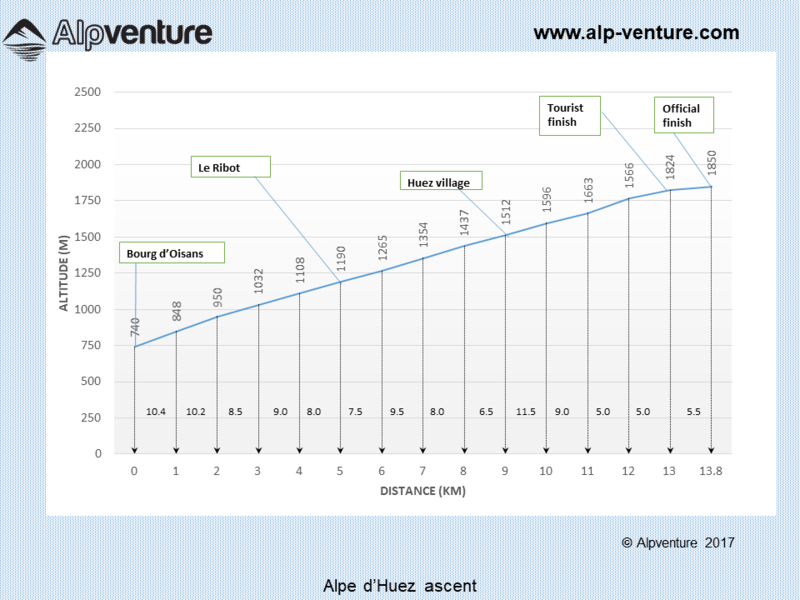 The brutal ascent starts immediately with the first five switch backs being the steepest average gradient so it is recommended to take it easy and find a steady rhythm until you reach La Garde at bend 16. After La Garde the gradient reduces slightly varying between 6.5 to 9 percent for the next 7km until it ramps back up after Huez village from between 9 to 11.5 percent for a few kilometres. The final 3km ease off to around 5 percent. You will reach the tourist finish marker at 1815m where there are cafes and shops available if you feel the need to stop for a break You will also find a podium on the right opposite the tourist office to take a few photos of your accomplishment. To continue to the official finish line (the Tour de France finish) continue under the bridge to the left and follow the winding road (Route de la Signal) then turn right on to Avenue de l’Etendard across the first roundabout then turn left at the second roundabout straight up the road Avenue de Rif Nel and the finish podium is on your right hand side with a finish marker at the side of the road showing 1850m. Descend directly back to Bourg d'Oisans on the road you ascended. 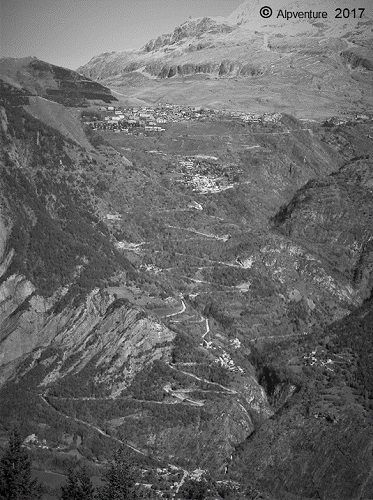 Descend back down the road you have ascended until you reach Huez Haut where you will see a sharp right turning (just before the traffic lights ) on to the D211C leading to the D211B following signs for le Pas de la confession and Villard Reculas and the chairlift at Huez. Cycle past the chairlift station and the road ascends to a balcony road which continues with spectacular views overlooking the Bourg valley until you reach Villard Reculas. Continue on a really nice tree lined descent which has generally less traffic than the main Alpe d’Huez road past Sardonne and les Traverse until you reach the D526. Turn left then continue * until you meet the main road (D1091) where you turn left to arrive back in Bourg d’Oisans. * Instead of taking the D1091 back to Bourg d'Oisans there is a new cycle path (with tarmac) which follows the river back to Bourg d'Oisans to avoid the main road. To follow this path turn left after the first road bridge which crosses over the river and you will see a small sign directing you to Bourg d'Oisans.